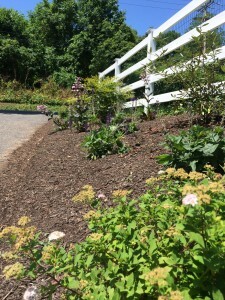 We love projects big and small at Cider Mill Landscapes, but what we make sure to do is pay really close attention to the details no matter what the size of the job we do. Sure we could just lay some stone, shove a few plants in the ground and be done with it, but we just won’t put our signature on work like that. What separates us from our competitors is how we carefully craft the smallest elements of a project so that it has the right finishing touches. We give you a full service package that covers all the bases and we worry about the finer points that really sets our work apart from the rest. 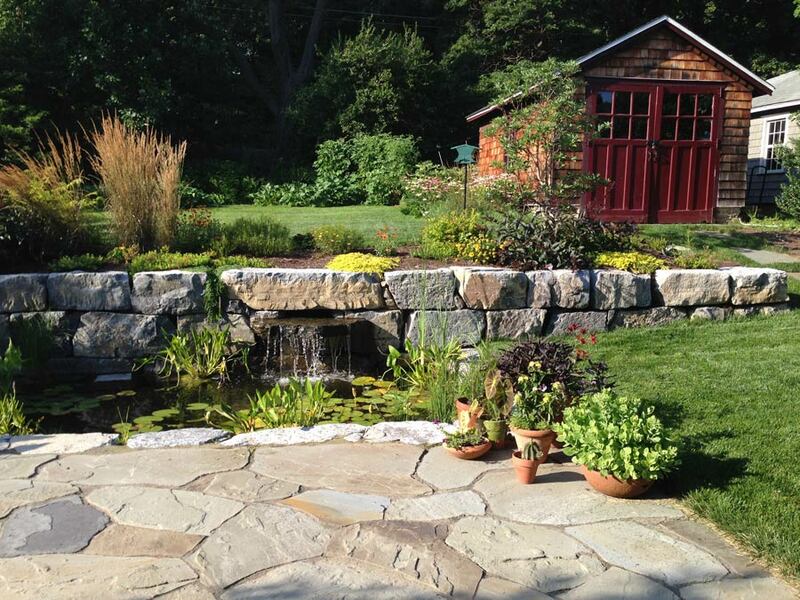 We carefully consider the placement and selection of stones right down the to the color, shape and size; and we make sure that the right perennials are used that showcase it all in a beautiful way–right down to how the leaves drape and weep down from a retaining wall or where to situate a bench so that the view of the pond and waterfall are just perfect. We fret about getting it right, and we don’t stop until it’s picture-perfect and the homeowner is satisfied. Check out the video for our most recent project in Glen Mills, PA, where we added a stone veneer surround to the entire lower portion of the house, custom stone walkways and stepping stone pathways, a boulder wall. We also put in low maintenance woodland plantings, covered the patio and bar area, and topped it all off with the addition of a waterfall added to the pond. It’s all pulled together and cohesive and the effect is stunning. The stacked stonework adds immense texture and natural color and the bar area has a wonderful rustic quality that will weather beautifully over time. The retaining walls help ease the slope on the property and give tons of interest and added seating on the cap stones. 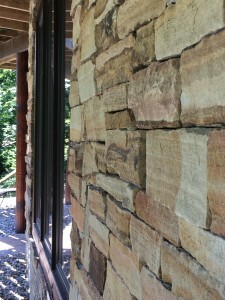 The raised deck looks elegant now that the stone wraps underneath it and gives the home a warm and cozy feel, too. We will be working with the homeowner in the future to install landscape lighting, a custom gazebo and redo the driveway as part of an upcoming phase in the near future. If you want to transform the look of your home and landscape with great detail that makes all the difference, then you need to speak to our architects at Cider Mill Landscapes. If you are unsure what to do or where to begin, we can come out for a visit and discuss ideas that can change the way your backyard looks so that it is more usable, resolves any grading or water issues, extends your outdoor entertaining and simply looks fabulous. No project is too small or too big and you will only have to deal with only us for the entire project. There is no need for multiple contractors come in since we do it ALL! This eliminates headaches for you since there is no need to manage a heap of people and track what everyone is doing. We are your single point of contact for your entire backyard project from beginning to end. Period! 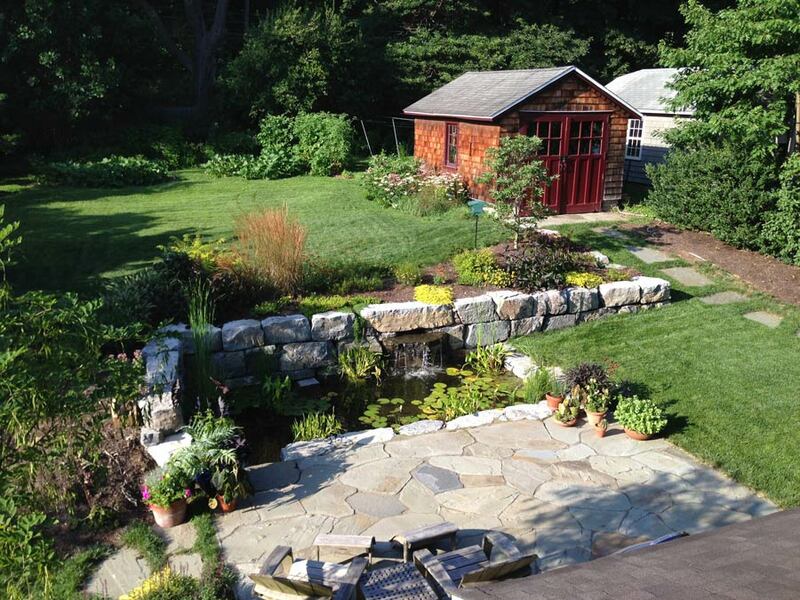 Let Cider Mill Landscapes help you re-imagine your home’s outdoor living areas and lay the groundwork for a spectacular backyard renovation that adds value and brings beauty in the very same package. We can work within any budget and even stagger a project for you as time and funds allow. 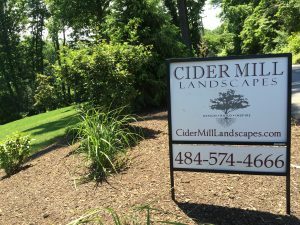 Give Cider Mill Landscapes a call at 484.574.4666 for a free consultation to start your next project.